Nine-year-old boy says he was fat-shamed by Santa. FOREST CITY, NC (KTRK) -- A lot of children look forward to visiting Santa during the holidays. But for one North Carolina boy, who says he was fat-shamed by Santa, the experience was scarring. On Saturday, an otherwise jolly time on Main Street led to a holiday moment the boy would like to forget. "I went out and started crying, because I just felt so bad," Anthony Mayse said of his conversation with Father Christmas. "When he got done, he said, 'Lay off the hamburgers and french fries,'" he recalled. "And that really just disrespected me, and I felt awful." "This year we thought it'd be fun to take the carriage ride and let the kids ice skate and go see Santa," mom Ashley said. Meeting St. Nick should have been the kicker, not the heartbreaker. According to Anthony and his mother, he sure didn't act like a saint. "He acted like he didn't want to be there to do the job," Ashley said. Anthony was asking for an iPod Touch and a drone for Christmas when the family said he was body shamed. "Very rude. I've never seen anything like it," Ashley told WLOS. "What set me off is when he started crying." The polar opposite to tears of joy. "I was just mind-blown," Ashley said. "I wished a million times that we never went." "It affected me so bad that I was crying until I went to bed that night," Anthony said. "And I want to say to him, 'You don't want to disrespect a 9-year-old. Even though what shape and size you are, it doesn't matter.'" He later tore up his picture with Mr. Claus, who's employed by Forest City to spread good cheer. 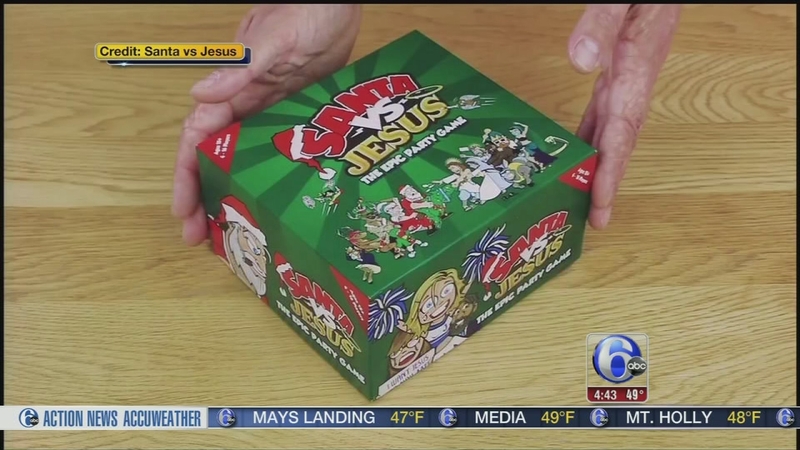 The town manager said Santa had apologized to both the supervisor and the Mayse family. He wouldn't say whether disciplinary action was taken. "When he went to apologize to me, he didn't even mean it," Anthony said. Instead of a letter to Santa, Ashley would prefer the city send a "pink slip." "I'm hoping he's fired, because I don't want any kid feeling like he did Saturday," she said. "I mean, it destroyed him." They'd like the Forest City Santa to "lay off" the insensitive comments. For now, no more St. Nick for them. "I'd probably go to the mall, but not Forest City again," Anthony said.